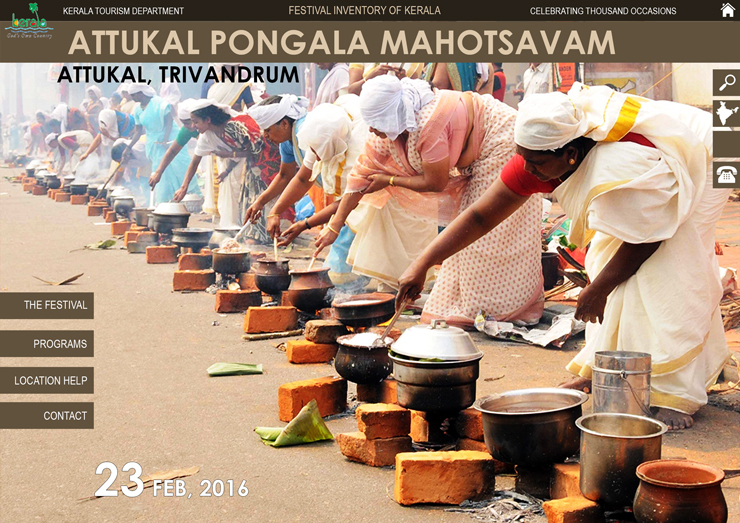 The festival inventory project is a tourism initiative to record and create a database for one thousand festivals spread over the year across Kerala. The aim is to capture various aspects of traditional, folk, sporting and commonly celebrated events to enable and enhance tourist presence and interests and also complement their visiting experiences. 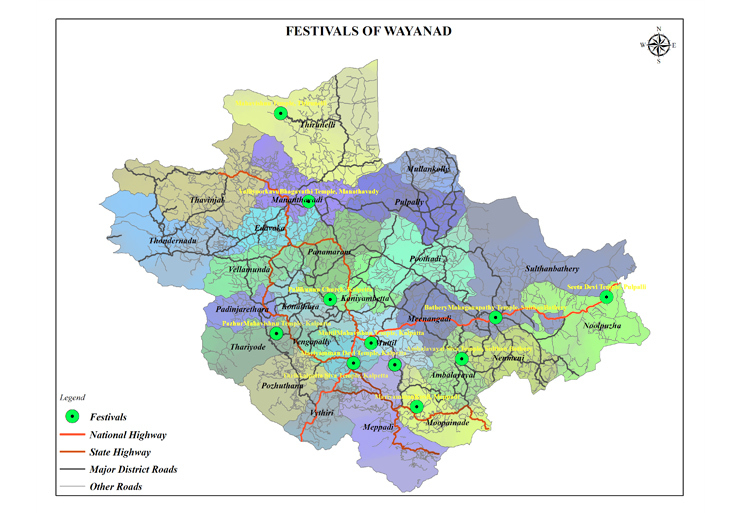 Apart from details on the festivals, each of them were located and mapped using GIS-based spatial data to convey accessibility to festival venues. This platform serves as an instant tool for extraction of data catering to tourism sector as well as directed interests.